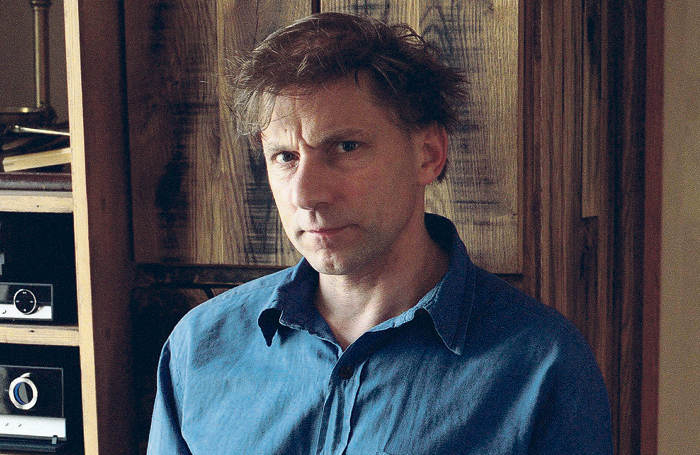 It’s safe to say that an interview with Simon McBurney, like an evening at one of his shows, is a challenging experience. He’s not confrontational – far from it, he is quiet and sweet natured – but he is brooding, distracted and intense by turns. He will suddenly go quiet, sometimes for what feels like minutes but in fact is probably 30 to 40 seconds, as he rolls around a thought in his head. 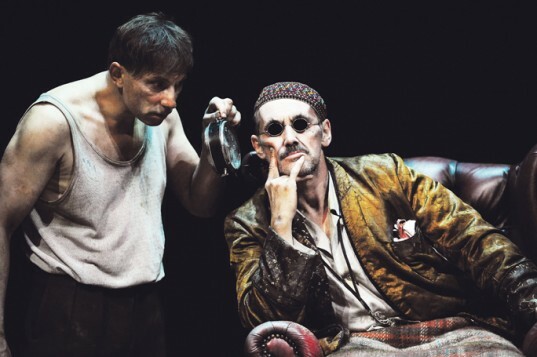 The man opposite me in a Covent Garden coffee shop is too familiar – from his countless theatre shows for Complicite (the company he co-founded in 1983 and still heads), at venues including the National and Barbican, as well as regular appearances in film and TV series such as Rev – for me to think about his looks. He’s certainly memorable, with strands of hair sprouting in multiple directions, partly thanks to the bicycle helmet he’s just taken off. You could describe it as the mad professor look, and he sounds like one when holding forth about the meaning of time and issues of consciousness. It’s almost like being in a philosophy class at Cambridge – the university he went to, and the city where he grew up. When I ask McBurney about his formative years, he gives a typically convoluted reply, but one that goes to the root of who he is. The Encounter is based on the book Amazon Beaming, which he was given by the director Annie Castledine (whom he cites as an ongoing influence in his life) when it was first published more than 20 years ago. Written by Petru Popescu, it tells the story of photographer Loren McIntyre, who, in 1969, found himself lost among the remote people of the Javari Valley, on the border between Brazil and Peru. He was finally led to a form with which to approach it, after developing Complicite’s 1999 show Mnemonic. 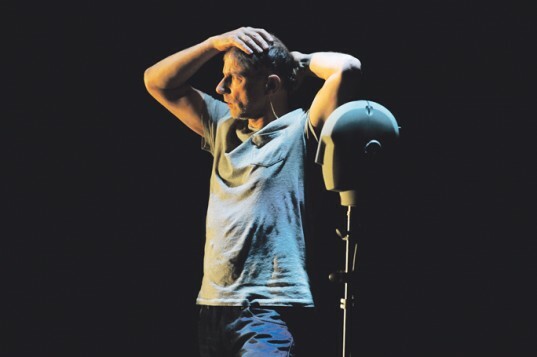 It led McBurney to a big question about form and content, with the show’s sound delivered into personal headphones that each spectator wears. What was your first job? I worked on a carnival in the north-eastern United States. I never waited around for a job – if nobody would have me, I would still perform on the street. What do you wish someone had told you when you were starting out? Not to be overawed by anybody – when I started I was always overawed by those I felt were well known and powerful. Who or what is your biggest influence? My mother and father, but also the extraordinarily eccentric people I grew up with in Cambridge. More recently, John Berger has been a fantastically important influence on me. Like everyone I’m a magpie – we seize from others. What’s your best advice for auditions? The same as my answer for what I wish someone had told me when I was starting out: don’t be afraid of anyone. If you hadn’t been an actor/director, what would you have been? I would have devoted my life to anthropology, probably. Do you have any theatrical superstitions? I’m not worried about people saying things like Macbeth, but I have many theatrical rituals – I do certain sets of things in a particular order. I’m famous for rolling up £5 notes as if they were tubes to snort cocaine through – though I don’t! But I don’t like the word ‘superstition’ – I’m interested in the connections between what we think of as free will and what actually happens. As I get older, the less I feel I know and the more I think there is to know. I’m interested in the gaps between what we know and the unknowable and being open to those connections. 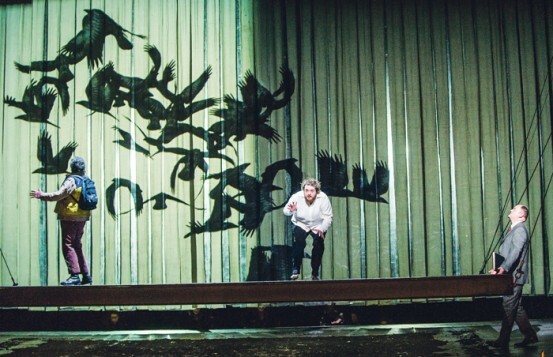 Today, he is going on from our interview to revisit another previous work – a production of Mozart’s The Magic Flute for English National Opera that has recently reopened at the London Coliseum. This piece is full of characteristically bold decisions: from one side of the stage, an illustrator projects images on to a screen and from the other an onstage performer creates a soundscape of sound effects. The orchestra is elevated out of the pit so that the players sit just below the stage, in full view of the audience and singers: “That was closer to the 18th-century relationship between the orchestra and the singers, and both of them loved it. It was much more intimate, and the Coliseum has an extraordinarily deep pit so that there’s a strange relationship between the music and the stage. 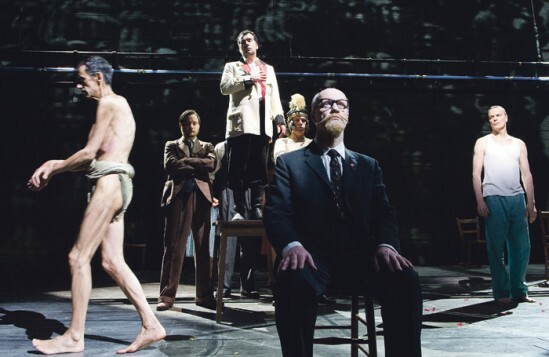 We can miss out on something with a composer like Mozart, but here it was very connected up musically, and I feel incredibly proud of it.” It is his second show for ENO, after the contemporary opera A Dog’s Heart in 2010, which he will be revisiting in Amsterdam next year. He’s on another roll: “In fact, that seems to be a fundamental misconception about the physics of time. Almost all physics can be done without the ingredient of time. I was talking to Marcus de Sautoy, who helped me on this show. He is the professor for dissemination of scientific knowledge at Oxford University and he told me the truth is that we don’t really know what time is. It’s a story like other stories that helps us to organise our lives – it helped you and me to get here at 9 o’clock to meet this morning. But if we were tribal people in the Amazon basin, I might turn up two days later and that would be fine. Our division of things by time is a very western and relatively recent construct, and it’s one of the consequences of our cultural development. • Do not be afraid. • Root yourself in life and nature, not just in the world of received culture and art. You have to go into the street and live life. • If you want to direct, then you should direct – if it means you direct two children in a pantomime you’ve written yourself, do that; there are always opportunities. • Don’t wait. But don’t rush, either. And without a word of explanation, he suddenly proves this by getting up and leaving the coffee shop. It turns out he had mislaid his bike helmet. When he finds it, he returns and we bid our goodbyes. The Encounter runs at the Barbican Theatre, London, until March 6. The run is sold out, but at 7.30pm on March 1 it will be streamed live from the Barbican to Complicite’s website . It tours to Manchester’s Home from March 16-19 and Oxford Playhouse from May 25-28.